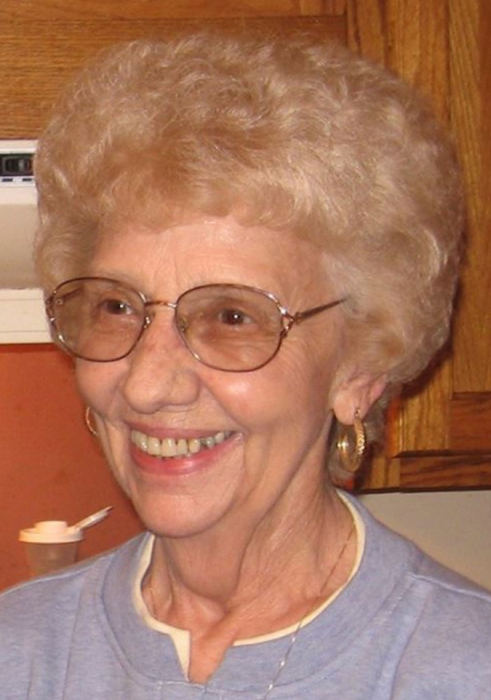 Hastings resident June M. Dahlheim, 89, passed away Tuesday, January 15, 2019, at Mary Lanning Healthcare, Hastings, NE. There will be no services. Her wish was to donate her body to Nebraska Medicine of Omaha to further advance cancer research and other medical studies. Memorials may be given to June Dahlheim Memorial Fund c/o 1228 North Webster, Hastings, NE 68901. June was born June 1, 1929, in Hastings, NE to Leonard “Butch” & Dorothy “Dot” (Weber) Karsting. She married Harold L. Dahlheim on March 29, 1948, in Hastings, NE; he preceded her in death on December 10, 1989. June was the oldest of 13 double cousins. She was a loving mother, grandmother, and great-grandmother. June was the manager of Pioneer Village Motel for 20+ years. She was also co-owner of Hastings Raceways from the mid-1960s to late 1970s. In her earlier years, she was a real estate broker in Hastings. June loved Nebraska football and volleyball, along with the Kansas City Royals. She cherished her family very much. June was preceded in death by her parents; husband, Harold L. Dahlheim; son, Jerry Dahlheim; daughter, Sallie Holliday; brother Don “Dink” Karsting; one great-great-grandchild; and a dear friend, Jodi Craig.